"These stars have already lived a full life. When they merge, they'll essentially be 'reborn' and enjoy a second life'"
Smithsonian astronomer Mukremin Kilic (Harvard-Smithsonian Center for Astrophysics) announcing the discovery. Astronomers have just discovered an amazing pair of white dwarfs whirling around each other once every 39 minutes. This is the shortest-period pair of white dwarfs ever discovered. Moreover, in a few million years they will collide and merge to create a single star. White Dwarfs are among the oldest objects in the galaxy and are the remnants of the earliest phases of star formation. No bigger than the Earth, they are formed when a star like our Sun ends its life. When white dwarfs are born they are about 200,000 degrees C and then cool down slowly over thousands of millions of years. As white dwarfs cool, from time-to-time they become unstable and begin to "ring", resembling an enormous church bell. This "ringing" is imaged as tiny variations in the brightness of the star which, if measured very accurately, can tell us how massive the star is, what it is made of and how fast it is cooling. Out of the 100 billion stars in the Milky Way, only a handful of merging white dwarf systems are known to exist (see image below). Most were found by Kilic and his colleagues. The latest discovery will be the first of the group to merge and be reborn. The newly identified binary star (SDSS J010657.39 – 100003.3) is located about 7,800 light-years away in the constellation Cetus. 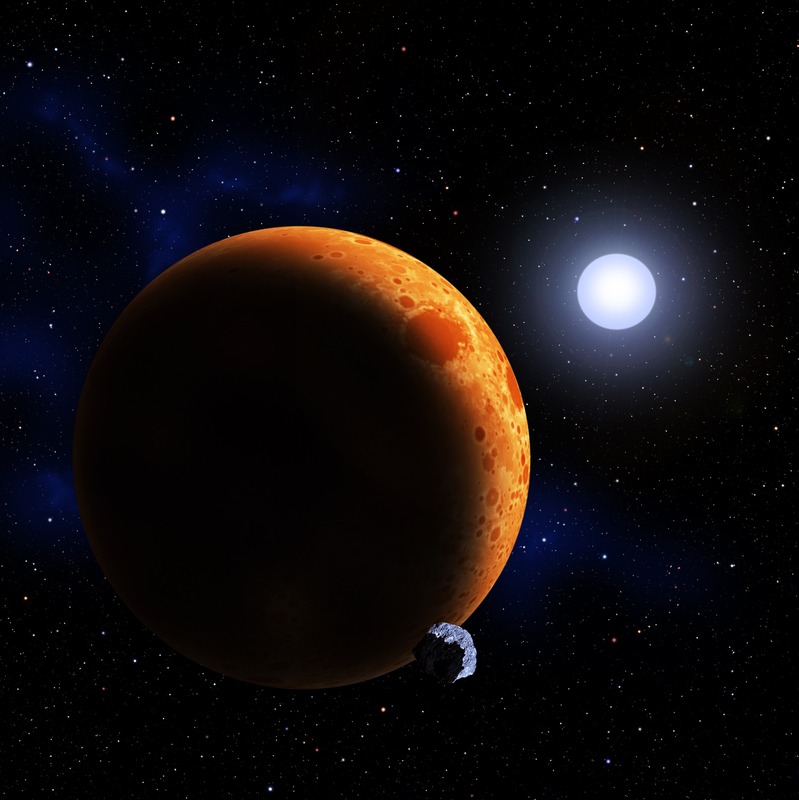 It consists of two white dwarfs, a visible star and an unseen companion, both are made of helium, whose presence is betrayed by the visible star's motion around it. The visible white dwarf weighs about 17 percent as much as the Sun, while the second white dwarf weighs 43 per cent as much. The two white dwarfs orbit each other at a distance of 140,000 miles — less than the distance from the Earth to the Moon. They whirl around at speeds of 270 miles per second (1 million miles per hour), completing one orbit in only 39 minutes. 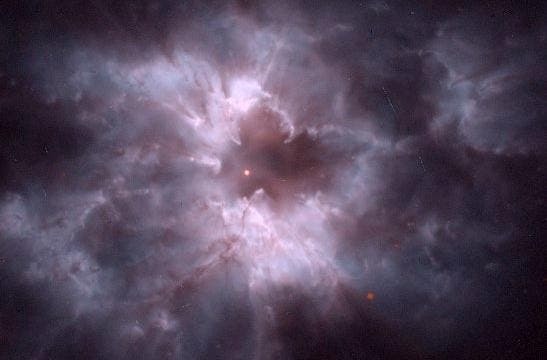 When some white dwarfs collide, they explode as a supernova. However, to explode, the two combined have to weigh 40 percent more than our Sun. This white dwarf pair isn't heavy enough to go supernova. Instead, they will experience a second life. The merged remnant will begin fusing helium and shine like a normal star once more. We will witness starlight reborn.